Earn $2.20 in Rewards credit (220 points) What's This? 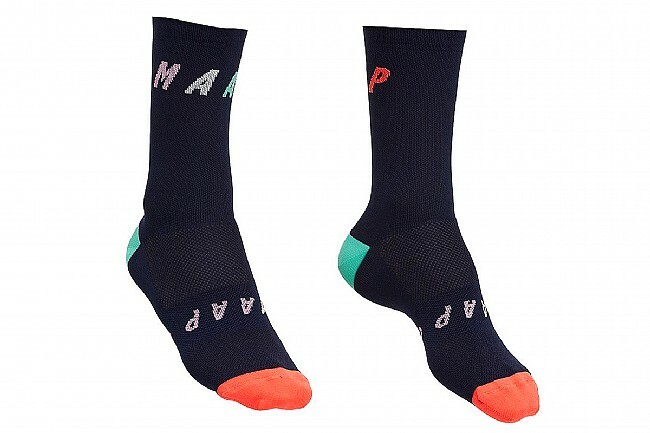 The Worlds sock is a part of the MAAP signature sock series. MAAP's next generation of comfort, function and style, featuring Meryl® Skinlife technology with permanent antimicrobial properties to keep your feet fresh during tough training sessions and warmer months. The signature sock series features a performance knit construction with dynamic arch support, the MAAP Signature sock intuitively moulds to the silhouette of your foot for a superior fit. The Meryl® Skinlife technology, featuring inherent silver microparticles, combined with soft mesh panelling and dynamic arch support keeps your feet fresh, supported and well-ventilated for improved comfort in a range of training environments and temperatures.